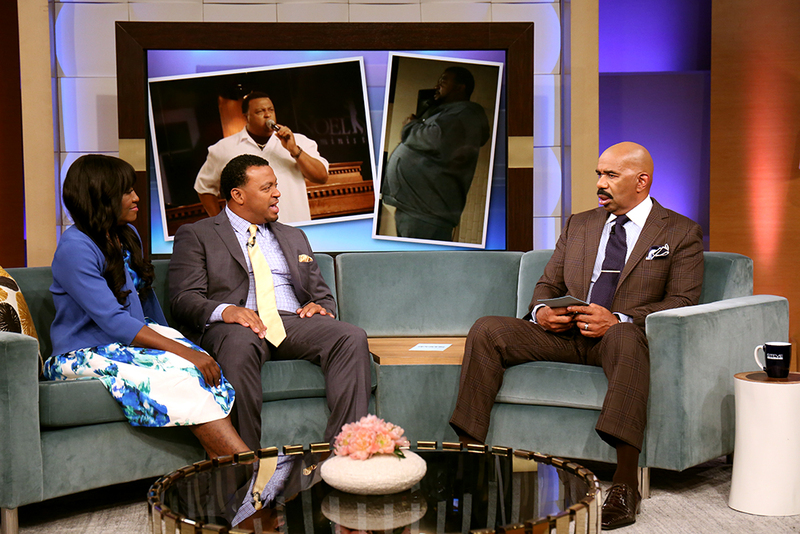 Pastor Hosea Collins, along with Dherbs CEO A.D. Dolphin, will appear on the “Steve Harvey” talk show on June 6, 2016, to discuss his journey to lose weight over the past 7 months. Collins went from 352lbs to 222lbs for a total loss of 130lbs, solely by watching what he ate, adhering to the Cleanse regimens, and continually exercising. The inspiration behind such a dramatic lifestyle change: his wife’s life or death need for a kidney. The pastor is devoted to assisting others, helping them find self-fulfillment, or helping them to unlock a God-given purpose. His belief is that every person can use this purpose to make a difference, and that’s exactly what he did.